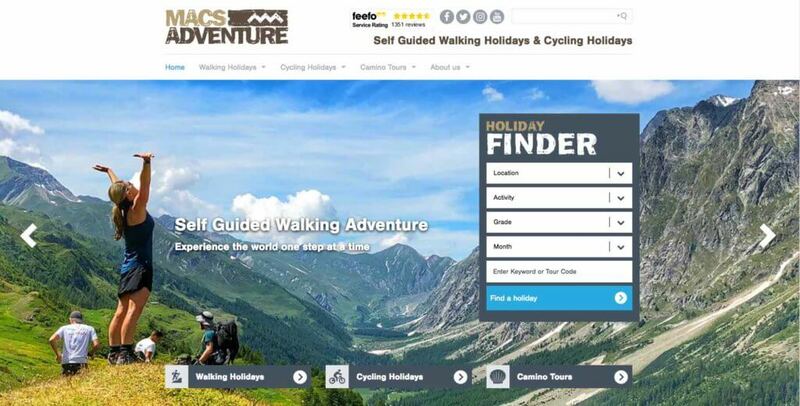 We're on an adventure with the leading self-guided holiday specialist! "I couldn’t recommend 39steps highly enough and Liam our developer contact in particular. We moved our 3 concrete5 sites to them which required a lot of urgent and complex fixes and improvements, all of which were completed to a high standard and very quickly. As a business, we are very online focussed so to find such a reliable partner has been very comforting and we now plan to work with them on a range of proactive site improvements as a result." Our Liam's been taking responsibility for website maintenance, including UI improvements, technical SEO implementations and CRM integration management. We took over responsibility for the concrete5 website in June and we'll be working with Macs Adventure lots more over the coming months. If you have a concrete5 website and are looking for expert maintenance and support, our concrete5 developers can help.